Yury Matusevich was born in Minsk in 1977. He studied in "standard" high school of Minsk, graduating with a silver medal in the 1995 year. He started his career in one of the first private independent media in Belarus - the newspaper "Svoboda", immediately after high school. Two years worked for the advertising manager. Then - as editor of the second channel of the National radio. 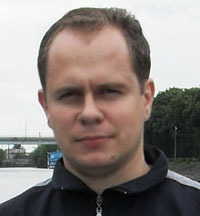 In 2000 he graduated from the Belarusian State University of Informatics and Electronics, Minsk, was qualified as an engineer-electronics-designer. Yuri worked for three years in the company of the military-industrial complex, went into private business, however, as an employee. From 2003 to 2007 he worked first in the field of safety and control systems, has gone from a senior engineer to director of one of Minsk companies. In 2007, he changed the scope of activities. From then until the present time he working in the field of digital printing and souvenir products. In duties include management of operating activities, the construction of management accounting, HR-management. In 2012 he finished studies at the Academy of Leon Kozminski in Warsaw, was qualified as an MBA. 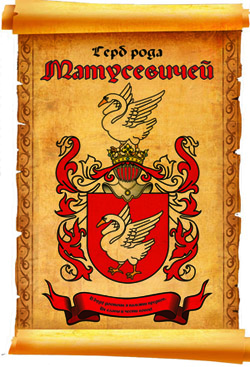 The website "Matusevich’s Planet" was created by Yury Matusevich in the year 2001.